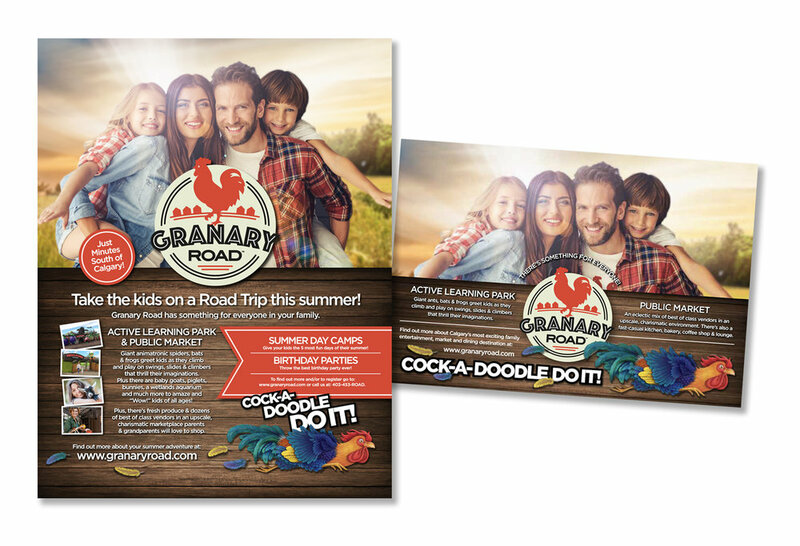 Five Red Granaries Inc., the parent company of Granary Road, brought Whoville into their project at its inception. Whoville assisted in identifying the opportunity and shaping the premise of the entity. 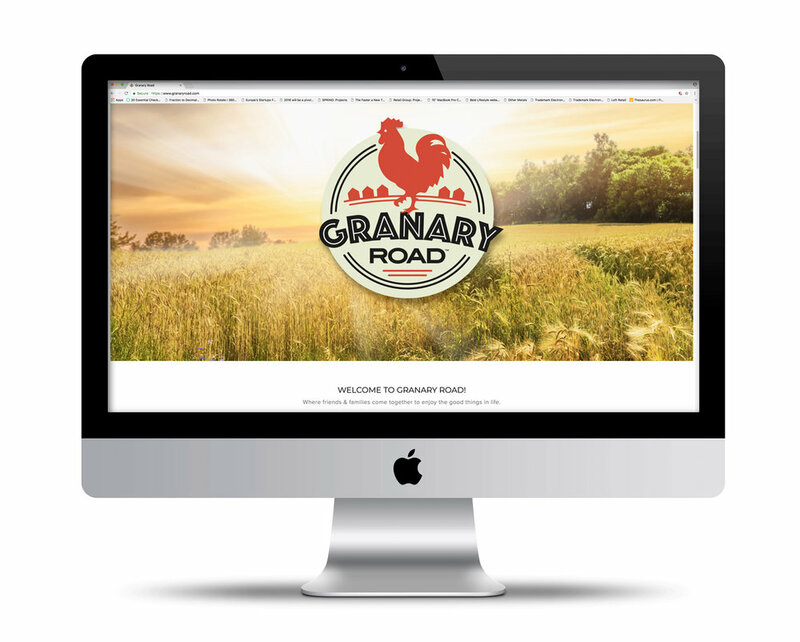 After executing a brand positioning analysis to maximize the opportunity in the Calgary entertainment market, the Whoville proprietary naming exercise resulted in the brand name Granary Road. Over the next 2 years Whoville developed every facet of the project from brand development to the park and public market design. Whoville created the investment marketing materials and sales tools and managed the process of attracting and signing a best-of-class roster of vendors for the market. Whoville conceived each of the pod/exhibits and worked with overseas factories, local craftsmen and Calgary teachers to make the Active Learning Park at Granary Road a world-class family destination where kids really do learn while having an experience unheard of outside of Disney. Whoville also developed a comprehensive 2-year marketing plan and created all of the assets for every brand touchpoint outlined in that plan including: Identity Design, Website Development, Print Advertising, Radio Spot Scripting, Billboard and C-Train Wrap Design, Sales & Marketing Collateral and Seasonal Fest Promotions. Whoville also developed and executed a comprehensive social media plan that quickly drove brand awareness and fostered fantastic engagement numbers. Whoville complemented its successful social media initiatives for Granary Road with a power Public Relations plan that grabbed the attention of Calgary's and Alberta's biggest and best influencers! We are extremely proud of the success Granary Road experienced in its first partial year of operation and the scope of work we achieved in a relatively short period of time. 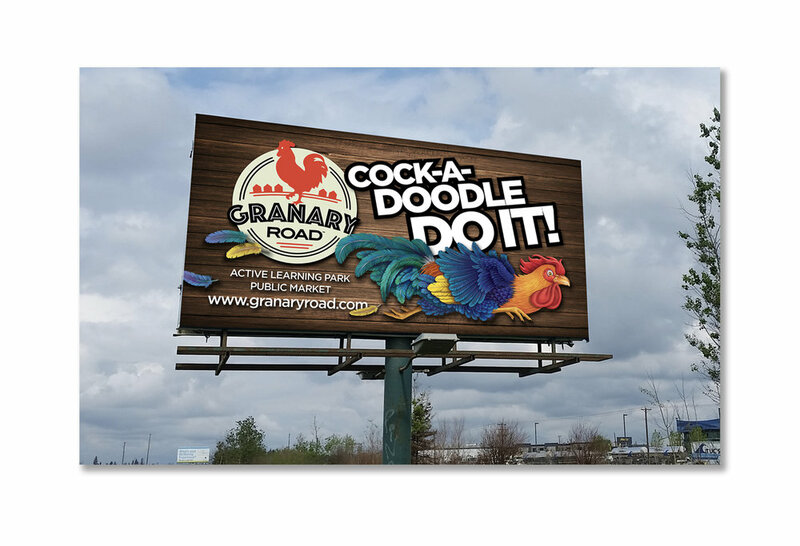 Granary Road represents the type of client who is perfect for the broad spectrum of services Whoville offers and is a shining example of what compelling creative continuity can accomplish. With a complete cohesive offering of marketing services Whoville can build this same kind of high profile success for your brand or company too! 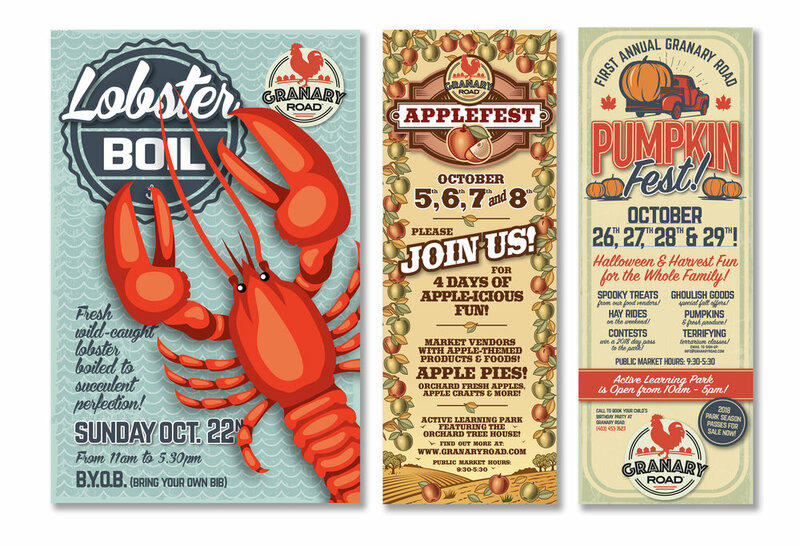 Below is a small sampling of the work we did for Granary Road.